La nounou est comme ces silhouettes qui, au théâtre, déplacent dans le noir le décor sur la scène [….] Louise s’agite en coulisses, discrète et puissante. A nanny is like one of the shadowy figures that, in the theatre, moves the scenery around on the stage. […] Louise twists and turns in the wings, discreet and powerful. 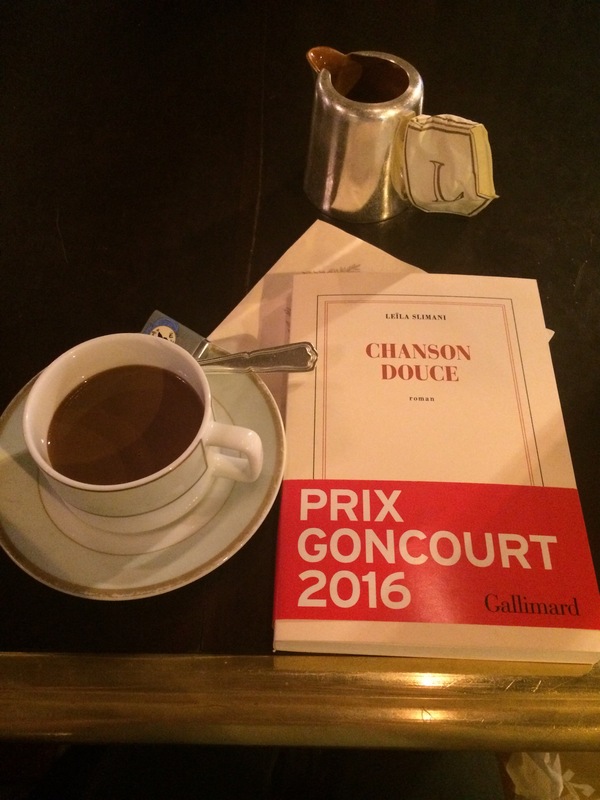 Chanson Douce, which can be translated into English as ‘sweet song’ or ‘lullaby’, came out in France at the end of 2016. It won the Prix Goncourt, one of France’s most well-known literary awards, in November 2016. It’s written by Leïla Slimani, a French-Moroccan author. She came to France at the age of seventeen, and worked as a journalist before focussing on her career as a writer. Here’s an interview with the author by the British newspaper the Daily Telegraph. Following the birth of her second child, Myriam Massé wants to return to work as a lawyer. She discusses with her husband Paul whether they should look for a nanny, even though the thought of leaving her children all day in a stranger’s care makes her very uncomfortable. Paul and Myriam decide nevertheless to advertise for help with childcare and, after one day of interviewing candidates, they find the ideal person for the job. For the Massé family, Louise is perfect – their children take to her instantly and she keeps the apartment spotlessly tidy. Paul and his wife even feel able to go out in the evenings to visit friends for dinner, and when they return the invitation, everyone raves about Louise’s incredible talents – the beautifully decorated dining room, the delicious sauces and perfectly cooked meat. And for Louise, the Massé family is perfect. They treat her with kindness and respect, and she finds their central Paris apartment far more welcoming than her rented studio in the suburbs. While her employers are only looking for part time childcare support, their trust in her and frequent insistence that she is ‘part of the family’ soon leads Louise to cunningly carve out a place for herself in the family home. So many reasons!!! I couldn’t put the book down once I’d started. The start of the story is so shocking that it will force you to keep reading and to find out the reasons behind what happened. Recent reviews have compared the novel to Gone Girl, partly because it’s a thriller and because it begins in such a brutal way. Like with Gone Girl, the reasons behind the violent scenes in the first chapter are revealed little by little throughout the rest of the novel. It’s clear that Slimani is an immensely skilled writer. I feel that one of her main talents here is her economy of language. She fleshes out impressively realistic characters and adds colour to the novel’s events and setting through using very few words. Her background as a journalist is also evident here, as the novel is written in a very factual and neutral style. Crucially, this lets the events speak for themselves and, also, leaves the reader to form their own opinion of the novel’s extremely complex characters. Where can I get hold of it? It’s available to buy on British and American Amazon here and here, or on French Amazon. You can also find it on the FNAC website. British publishing house Faber has acquired English rights to the novel, and it’s expected to be translated into English in 2017. Dans le jardin de l’ogre (In the garden of the ogre), Slimani’s debut novel. If you’ve enjoyed reading this post, how about having a look at my previous book reviews here and here?